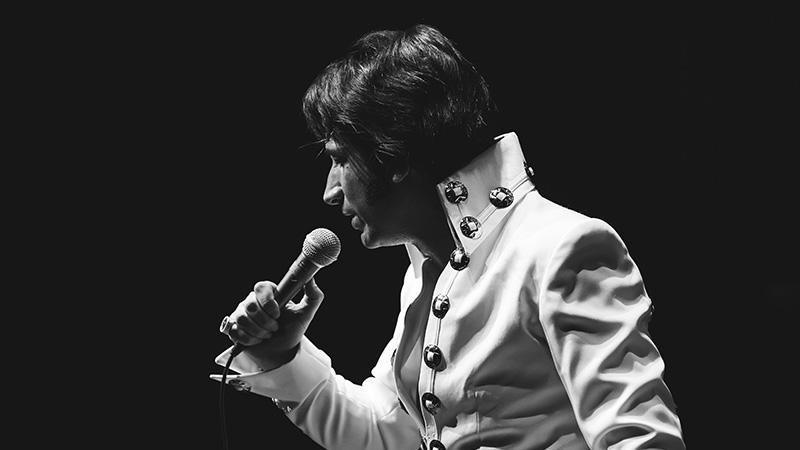 Genesis Entertainment proudly presents ELVIS - 'THE WAY IT IS' starring multi award winning Elvis tribute artist Sean Luke Spiteri. Sean has been electrifying audiences for over 16 years, his high energy presence, charisma and passion on stage as Elvis Presley gives Elvis fans the opportunity to experience an authentic Elvis concert live . Sean's Elvis moves are the sharpest in the country and his strong Elvis vocals along with Sean's authentic Elvis wardrobe is a dynamic combination to witness live. Sean truly captures Elvis, at the peak of his career. His success as one of Australia's leading Elvis tribute Artists has taken him from Australia to the USA where Sean has performed in Memphis Tennessee, Elvis Presley's hometown. Sean has played sell-out shows across the country and headlines some of the biggest Elvis festivals in Australia. THE WAY IT IS is a non-stop electrifying concert production backed by Live Musicians. This spectacular show will take you back to the International Hotel in Las Vegas during 1970 when Elvis was at his peak and playing to sold out crowds and performing special VIP concerts to all the stars. The Way It is not to be missed as Sean will feature songs from That's The Way It Is performing all the hits live from That's All Right Mamma to Wonder Of You this authentic show will be recreated song for song costume for costume. Meet and Greet opportunity with Sean Luke Spiteri after the show. Special guest Zoi Georgiou an outstanding female vocalist.